Garrus nods and follows behind Wrex and Anderson. Shepard fastens her breathing mask and punches a few buttons on the control panel. Then the platform beneath her raises her up towards the external hull. Shepard takes 3 steps before hearing a noise that triggers a flash of a Prothean memory. She looks behind her quickly but sees nothing. Then Hacket comes in again over the radio. Shepard shatters the Reaper enhanced body with a devastating 5000 newtons, it flies off into space in a dozen pieces. Dr. Chakwas scrubs in for surgery. All non-essential personnel are evacuated from the medical bay. Anderson and the Prime exit the elevator, Garrus was waiting for them. The assistants continue attempting to resuscitate the commander. One of the attendants pulls the window shutters closed. 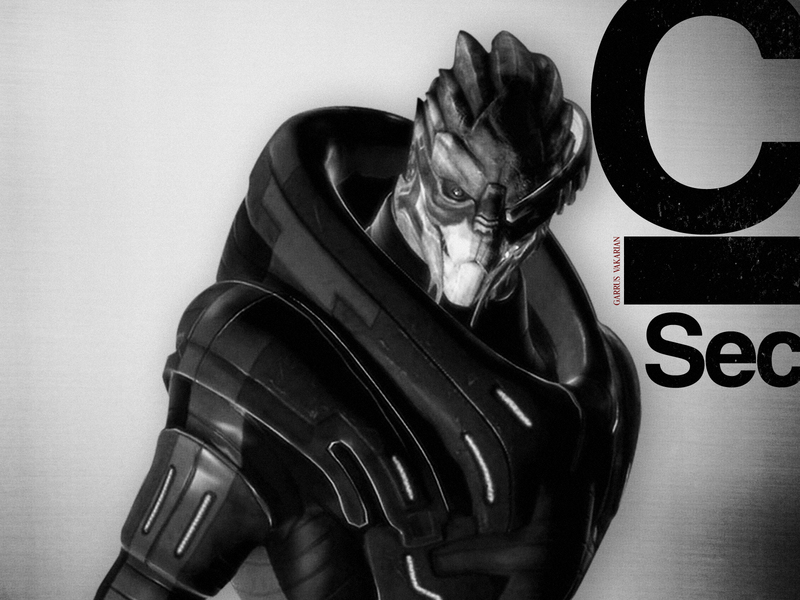 The geth walks out and Anderson says a few words thanking the Prime for assistance before it leaves the Normandy. 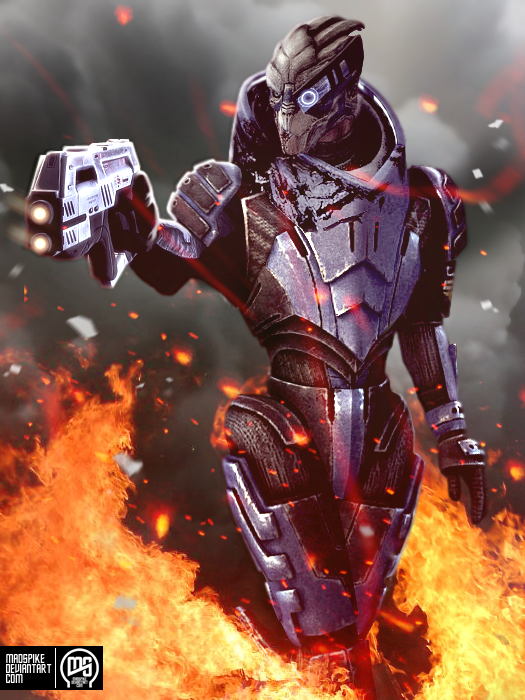 Wrex – “No problem.” he begins to walk away. The crowd breathes a collective sigh of relief, followed by cheers and applause. Garrus hugs her. 2 Weeks later. At a bar on Earth by the Ocean. The cool wind flowing through the open air pavilion. Shepard and Garrus walk up to the bar and sit down next to Wrex. Garrus kisses her. Then turns to the bartender.